How Would you like to feel less tired right now? Be honest with yourself. Are your thoughts foggy and distant like the picture of those mountains that you use as a background picture? Do your eyelids droop and quiver like the shaky legs of a newborn lamb? Above all, is that second extra large coffee the only thing holding you together? You work too hard to miss out on even a single minutes rest each night. Chances are, you are probably part of the 60% of Canadian adults who say they feel tired most of the time. It is also likely that you’ve already tried at least a few methods for getting a more restful sleep, which you probably found in the same way that you found this article. What you didn’t know is that you have a secret ally in your epic, nightly battle. Silent and unmoving, these stoic sentinels have been all around you for as long as you, or anyone else, can remember. Indoor plants have amazing qualities when it comes to removing toxins from the environment. 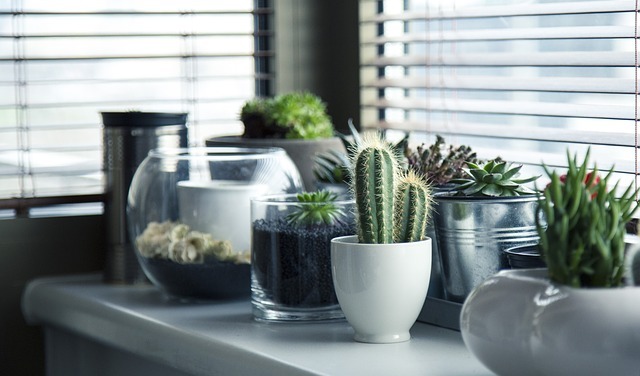 Since most people spend a majority of their time indoors, keeping household plants is crucial for mental and physical well-being. Keep reading to learn about some of the best plants that you can keep in your home or office and see for yourself. Aloe Vera has been used for medicinal purposes for thousands of years. It is no wonder that this plant is incredibly beneficial to have around. Aloe Vera emits oxygen at night, and increased oxygen content in the air can help reduce anxiety and stress, and improve sleep quality. In addition to giving off a pleasant aroma, the Jasmine Plant also helps with sleep quality. It has even been shown to increase alertness and productivity the next morning. Early risers and self-motivators will surely benefit from this powerful little plant. Another plant with a sweet-smelling fragrance, The Lavender Plant has many beneficial uses as an essential oil. In its plant form, it has a calming and relaxing effect on people, which eases them into sleeping deeper and can even calm restless babies. The English Ivy Plant is listed by NASA as the most powerful air-cleansing plant that you can have in your home. It reduces airborne mold by up to 94%, which is especially important for people with breathing problems such as asthma and allergies. This plant is a ‘must-have’! No need to be afraid, the Snake Plant doesn’t bite. What it does do is help to treat headaches, eye irritations, and respiratory problems. It is also easy to grow and looks great as a decoration.